At the Newport Bay Club and Hotel, a non-smoking resort, you'll find luxurious accommodations in our Suites and Townhouses including a full menu of amenities. All Suites and Townhouses have either one or two private bedrooms, and all have a queen size pull out couch in the living room. All bedrooms have one queen size bed. All units have a large living room with dining area, a kitchen with microwave oven, and a tiled bathroom. A select few offer kitchen stoves. Our bi-level Townhouses offer private decks on both levels. All units have either a harbor or city view. Please keep in mind that we do have a two night minimum on weekends during the summer season (May thru October) and special event/holiday weeks. We require guests reserving and checking into a room to be 21 years or older. 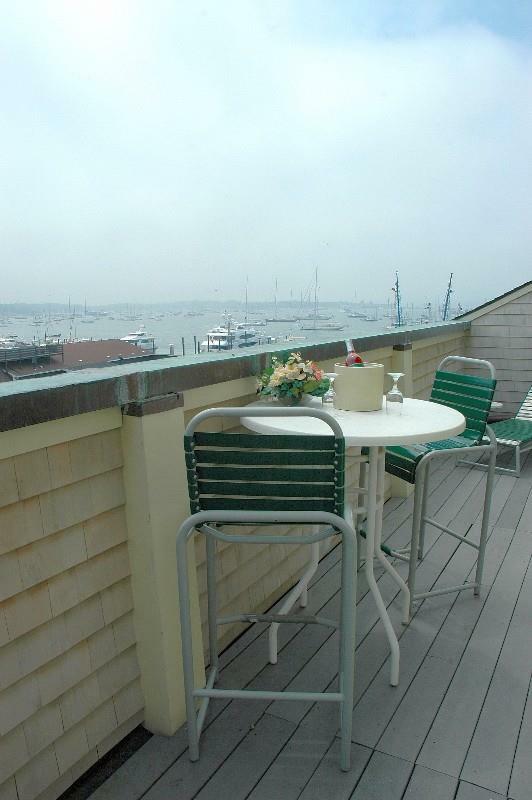 Located in the heart of downtown Newport, Rhode Island.